Every year the West Coast Sailing fraternity eagerly anticipate one of the premier regattas around. A combined effort from Balboa and Newport Harbor Yacht Clubs (respectively) turn Catalina Island into a regatta destination like no other. 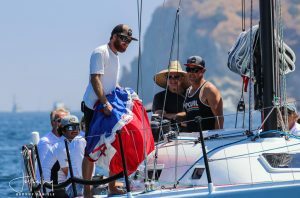 The annual Long Point Race Week is a true bucket list regatta for any competitive racer in Southern California. Music, food, drinks and unbelievable scenery made 2017 a smashing success. NHYC and BYC pull out all the stops to ensure a regatta experience like no other. If you are unfamiliar with the regatta then let us bring you into the fray. Friday’s race takes you from Newport Beach to Long Point and usually favors the light air boats. Friday night consists of an amazing catered dinner and music and more. Saturday’s racing is my favorite. The course is from somewhere near Long Point (starting line is determined by the RC before the race) to Two Harbors and back. The exciting tactical upwind battle is followed by a great downwind run to the finish and premise of more fun. Saturday night is more of the same but with a live band! Amazing how all of this is put together with such few amenities. Sunday sees you race back to Newport on what is usually a tight to open reach. This year was a sleigh ride all the way home in 13-18kts of wind. Racing this year was tight and Ullman Sails customers had some great highlights! prize in their class for the second year in a row! The well sailed boat from San Diego narrowly missed out on the overall win but dominated their class with a 1,1,3. 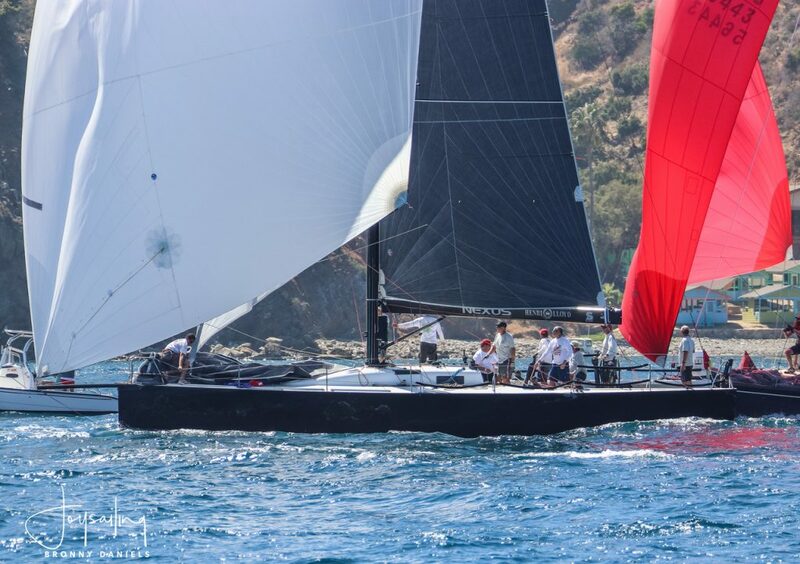 Carbon Footprint*, the newcomer to the fleet, proved they will be a force to reckon with after finishing second in class and beating their twin (Varuna) in their quest for bragging rights. Great job to James Devling and his crew. This uber competitive class saw a plethora of awesome boats and amazing sailors. Last years overall winner Timeshaver couldn’t pull out the repeat, but the Ullman powered Santa Cruz 50 Horizon* managed to claim the class by one point! Great job! A big thank you to all the Ullman Sails customers, we could not do this without your support!